Diesel Locomotive Works has declared the DLW Recruitment 2018-2019 for ITI & Non ITI Apprentice (Fitter, Carpenter, Painter(Gen.), Machinist, Welder(G&E), Electrician)vacancies. So, the candidates can check the DLW Varanasi Apprentice Notification 2018-2019 details from this article. We have provided the application form, post-wise vacancies, eligibility criteria and more information related to the DLW Recruitment 2018-2019. The Online registration of applications will be available on the official website dlw.indianrailways.gov.in from 8th October 2018 to 9th November 2018. Therefore, the aspirants need to cross check all the details from this post. Contenders can find the Steps to apply for the DLW Recruitment 2018-2019. 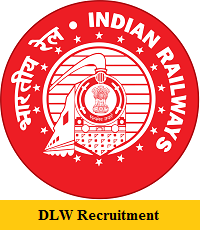 We have provided DLW Recruitment 2018-2019 Notification link below in this article. The aspirants who are seeking for the Government Jobs in Uttar Pradesh. This is the latest recruitment notification from the Diesel Locomotive Works. The organization has revealed information on ITI & Non ITI Apprentice posts. Contenders have to work hard to get placed into the DLW Varanasi. We insist all the applicants before filling the application form must need to check the entire details and pay the application fee as per the official notification. Visit the official announcement of the DLW Recruitment 2018-2019 undoubtedly and pay the application fee. To get more details to check the complete page and we have gathered the information related to DLW Openings 2018-2019. Visit our website Sarkari Naukri for more job notifications of the Government of Central Government Jobs. Candidates who want to know more info about this post can check the organization website of the Diesel Locomotive Works. The applicants can get the information related to the DLW Recruitment 2018-2019. So, all the eligible applicants need to submit the applications on or before the last date that is 9th November 2018. The higher authorities of the DLW will not accept the applications which are provided after the last date. Therefore, all the contenders need to check the due date and fill the application form. To know more information about the DLW Apprentice Jobs 2018-2019 aspirants can refer to the official notification. Even, we have arranged the same details which are arranged in the notification on this page. So, check the particulars carefully and apply for the DLW Notification 2018-2019. After submitting the application by the candidates, the officials will check all the details. If they found any mismatches, then they will keep the form in the hold. Therefore, the aspirants need to check the details of the DLW Recruitment 2018-2019. Candidates have to check the below requirements before applying for the ITI & Non ITI Apprentice posts. For ITI Apprentice: 10+2 Pass with ITI in Specific Trades. For Non ITI Apprentice: 10+2 Pass with 50% Percentage. Minimum Age Limit is 15 years. Maximum AGe Limit is 22 years. Visit the official advertisement for the upper age relaxation. The application fee for ITI & Non ITI Apprentice vacancies is Rs.100/-. Go through the official notification for the salary details. The selected aspirants will get a good pay scale as per their rules. Starting Date To Apply: 8th October 2018. Ending Date To Apply: 9th November 2018. Open the official website of Diesel Locomotive Works, Varanasi that is dlw.indianrailways.gov.in. On the home page click on the News & Events. Hit on the DLW Recruitment 2018-2019 Notification link. Check the eligibility criteria in the official advertisement. Verify the information before submitting the form. Take a print out for the further usage.